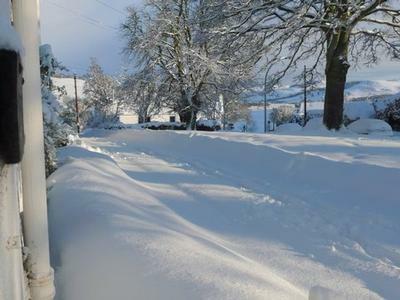 Charming self catering terraced cottage in beautiful scenery at the foot of the Cheviots. Completely refurbished to enhance its traditional character, providing a comfortable, well-equipped base to explore from and relax in. Sleeps 4. Pets welcome. 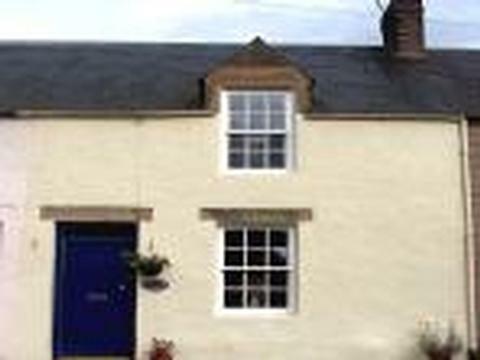 Chelsea Cottage is situated in the picturesque conservation village of Kirk Yetholm, near Kelso in the Scottish Borders. The village lies in the valley of the Bowmont Water in beautiful scenery at the foot of the Cheviot Hills, at the end of the Pennine Way. This cosy terraced cottage has everything you need to make your stay enjoyable and relaxing. It has been carefully refurbished to provide a high standard of accommodation. 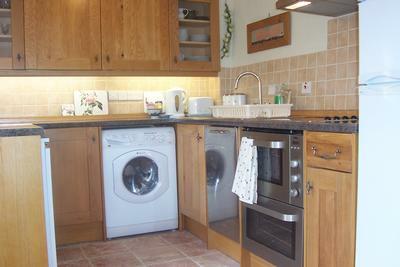 The kitchen is very well equipped for cooking, with a microwave, fridge freezer, ceramic hob / double oven. There is also a washer / dryer, and a dishwasher. 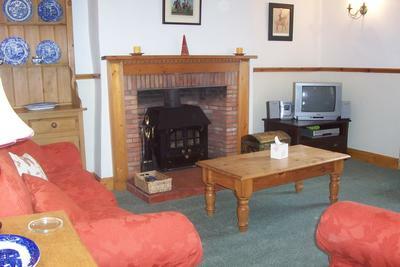 The comfortable lounge has a brick inglenook fireplace with woodburning stove. There is a colour TV with DVD/ video player, cd player and iPod docking station, plus a selection of DVDs and vidoes. There is also a wide selection of books, games and toys to keep you occupied. There are a number of OS maps of the area plus books with good walks. There are steep stairs (with a handrail) which lead to the top floor. The master bedroom has a king-size bed, built in wardrobes and has space for a travel cot, which can be provided at no extra charge. The small back bedroom has lovely views onto Staerough Hill, and has 2 small twin beds, which can be converted to a double bed if required. The bathroom has a roll top bath (perfect for relaxing in after a long walk) plus electric shower (over bath), heated towel rail and an additional fan heater. At the back is an small enclosed garden, with a patio area with seating and steps leading up to a secluded lawn area backing onto Staerough Hill. There is on street parking at the front of the cottage. 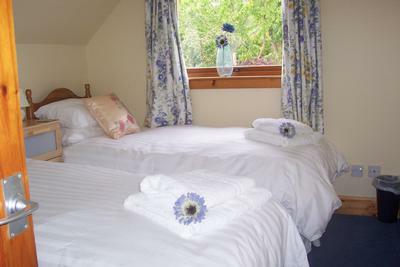 All electricity and central heating is included and good quality towels and bed linen are provided. A high chair, change mat, travel cot and portable stair gate are all provided on request. There is an award winning butcher in Yetholm, with a village shop stocking most of the essentials. Kelso has a supermarket and many interesting shops, and both Kelso Abbey and Floors Castle are worth a visit. 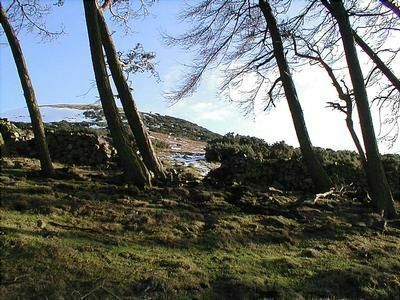 From Chelsea Cottage there are many good walks: St Cuthbert's Way passes through the village and it is also the end of the Pennine Way: If you walk the whole of the Pennine Way, you can get a free ½ pint in the Border Hotel! This historic coaching inn also serves excellent meals and is both child and dog friendly. Riding, fishing and cycle hire are all locally available. The Teviot and the Tweed are both good salmon and trout rivers, with permits available in Kelso. For more information on this pet friendly cottage, please click on the contact links above and below. Contact Karen Ellis for Enquiries and Availability.